The Mars Climate Orbiter was not the only ship to wreck due to a measurement system error during construction. 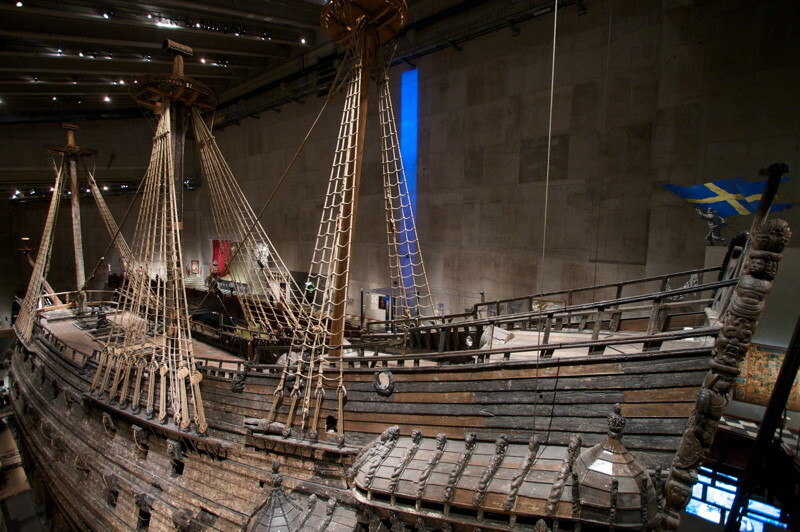 The Vasa was a 64-gun Swedish warship that sank on its maiden voyage in 1628. It was raised largely intact in 1961 and restored. 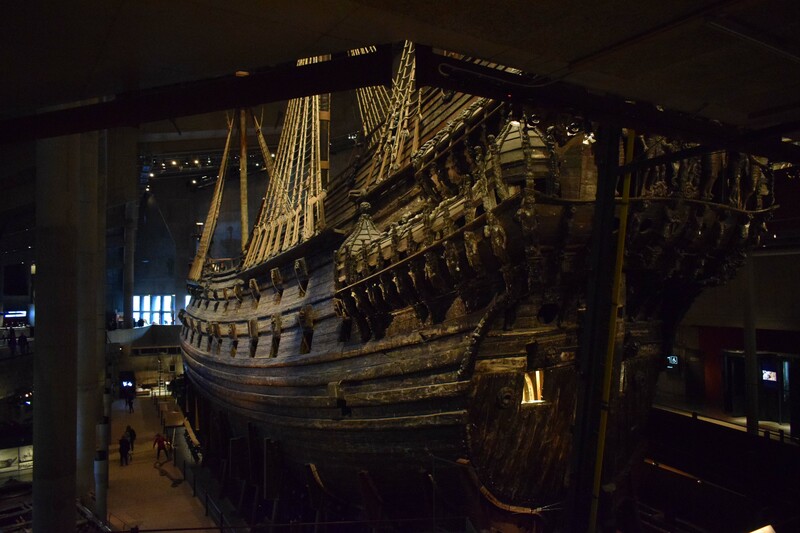 It's now displayed in the Vasa Museum in Stockholm, Sweden. One of the reasons it was thought to sink was the use of different measurement systems by the ship's carpenters. No wonder the ship tipped to the port side when the winds hit. But why was the ship so lopsided? While examining the ship, Hocker discovered four rulers the workmen had used. Those rulers were based on different standards of measurement at the time. Two were in Swedish feet, which were divided into twelve inches. The other two were in Amsterdam feet, which had eleven inches in a foot. So each carpenter had used his own system of measurement. Eleven inches to a foot! And here I thought that the inferial subdivision was the dumbest measurement subdivision ever devised. Was polydactylism common among the Dutch back then? I do not believe the Vasa was constructed by two teams, one from Sweden and the other from Amsterdam! Under one master shipwright, of course it would not have been lopsided! The presence on board of two different rules simply means that the carpenters on board were from both countries. This would have been the case if a Russian ship or French had also had Dutch carpenters as well. The Vasa capsized because it was top heavy. This had been established before its maiden voyage! Although the Amsterdam foot had eleven inches, measuring 28.3133 cm, an extra inch would make a 12 inch foot of 30.88 cm. The closely associated Rhineland foot is 31.38cm. The Swedish foot is 29.69cm, I have learned. I have never heard of an 11 inch foot before, though I do not doubt its historical fact. One would think that a group of big time traders like the Hanseatic League would appreciate the wisdom of agreeing on a common measurement system (with non-prime-number divisions). So says someone living in a major trading nation that has yet to put the metric system into common use. This is a problem that dates back to the pyramids. There's a temple on the Nile island of Elephantine with an inscription documenting the various lengths of the cubit then in use. Apparently stupidity is as old as civilization. Snip..... Apparently stupidity is as old as civilization. Only because we "civilized" people are the only ones who have been "smart" enough to record things so future generations can talk about how foolish we have been. image from the site below, with some interesting thoughts and quotes on the subject..
Carpenters are often short of a complete handful by a digit or two. I doubt if the shipwrights got the measurements that far off. Lofting is the process of making full sized drawings to lay out the parts of the hull. The frames would have all been lofted and the bents would have been bent to the same lofting. Even if there were different measuring systems most tradesmen understand how to convert from one system to the other and there would have been somebody in charge of making sure everything fitted, who probably had both sets of rulers in his tool kit. I would only consider this idea of the shipwrights building a wonky ship if the actual measurements of the ship showed it to be very wonky. The Vasa left port with the lower gun ports open. If the ship was caught by a sudden wind it might have been blown down enough for the sea to flood the lower decks. 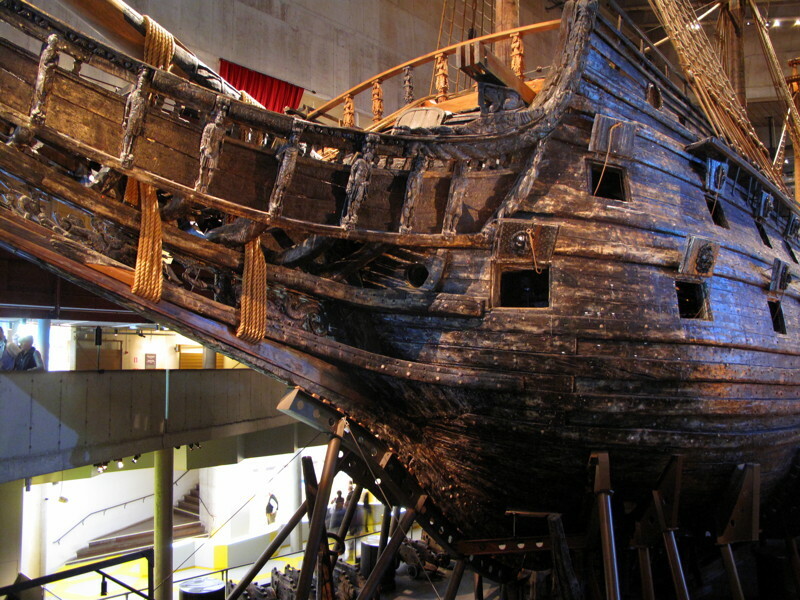 The Vasa would not have been the first ship lost to sudden winds. Nor was it the last. Even recently square rigged tall ships have been caught at sea by microburst wind and sank because they were blown down with ports and deck hatches open. and the Concordia was a much better balanced ship than the Vasa was. snip...and the Concordia was a much better balanced ship than the Vasa was. Perhaps those people responsible for naming ships should take note of these two incidents at sea?? There is some difference of opinion in regard to cause for the loss of one, the other was clearly negligence, none the less ships were lost. 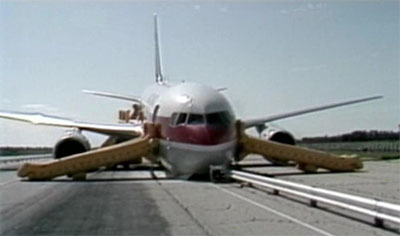 The Gimli Glider incident, in which a 767 ran out of fuel because, upon refueling, 22,300 pounds of fuel was mistaken for 22,300 kilograms. The crew was able to glide the plane down to a safe landing on a racing track. Instead of taking on the 20,088 litres of additional fuel that they required, they instead took on only 4,917 litres. The use of the incorrect conversion factor led to a total fuel load of only 22,300 pounds (10,100 kg) rather than the 22,300 kilograms that was needed. Canada and the USA are both guilty of attempting to use both systems (metric and inferial) in parallel. It's a sure recipe for disaster as incidents like the Mars orbiter and the Gimli glider prove. Perhaps once enough people have been killed by this insane practice, this stupidity will be abandoned and there will be a mandatory use of only the metric system. It really would be so much safer if the few remaining countries would join the rest of the world in using the metric system.